This is a past For Sale post from the Market Place section of the forum. The timepiece has been sold, and the post has been edited and moved here for the purpose of providing reference material for forum members. The original 1961 SEIKO Laurel Alpinist was designed to serve as a rugged and dependable outdoors watch for the Yamaotoko, which translates into English as “mountain man”. The Yamaotoko is the type who spends his leisure time climbing the mountains of Japan. A visual image of the Yamaotoko is a man sitting down, drinking refreshing green tea from a stainless steel thermos, and eating ano-bento that his wife prepared. But what about the man who ventures into the rugged mountains and wilderness, not out of leisure, but as a profession? By the early-1980s, SEIKO had already brought its latest movement technology—quartz—into the realm of both Professional and mainstream dive watches. 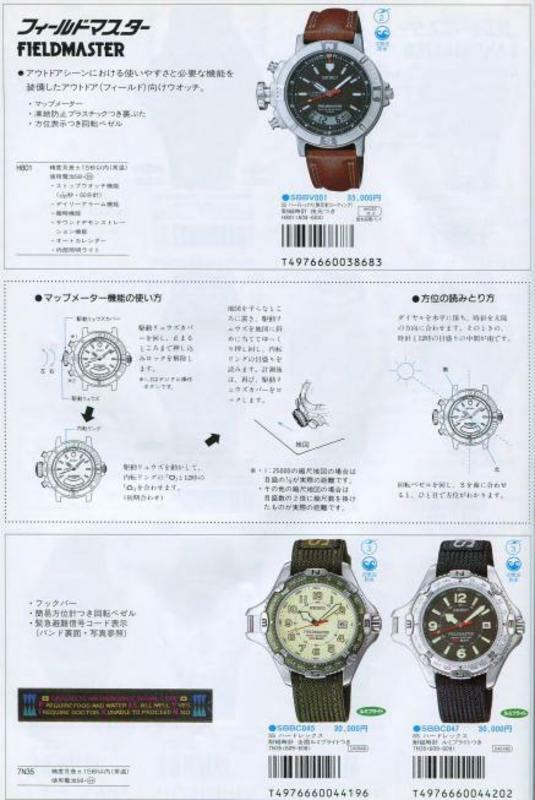 The Japanese Manufacture saw how the superior shock-resistance of specifically-designed quartz movements would be ideal for equipping timekeepers for serious adventurers, explorers, mountaineers, and sportsman. These watches would be as tough as divers, but engineered to conquer the land. The Fieldmaster was born. 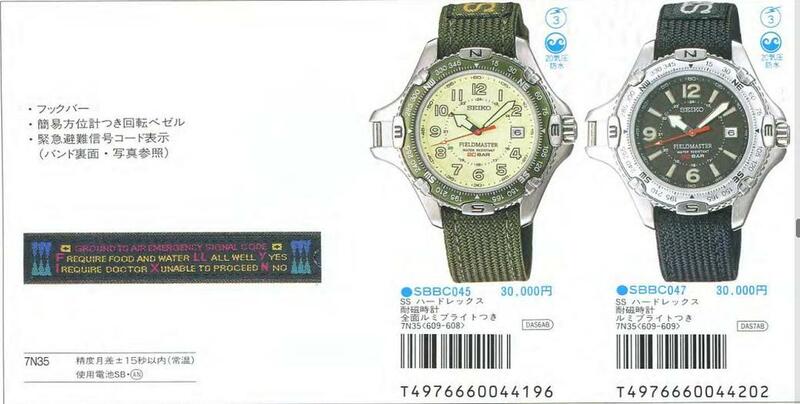 SEIKO advertised many essential features of these "King of the Land" watches, including water resistance of 10 ATM or more, shock resistance from a 3 ft. drop, anti-magnetic to 16,000 A/m, and a rugged durable case with safe rounded edges, emergency signal codes, and compass. 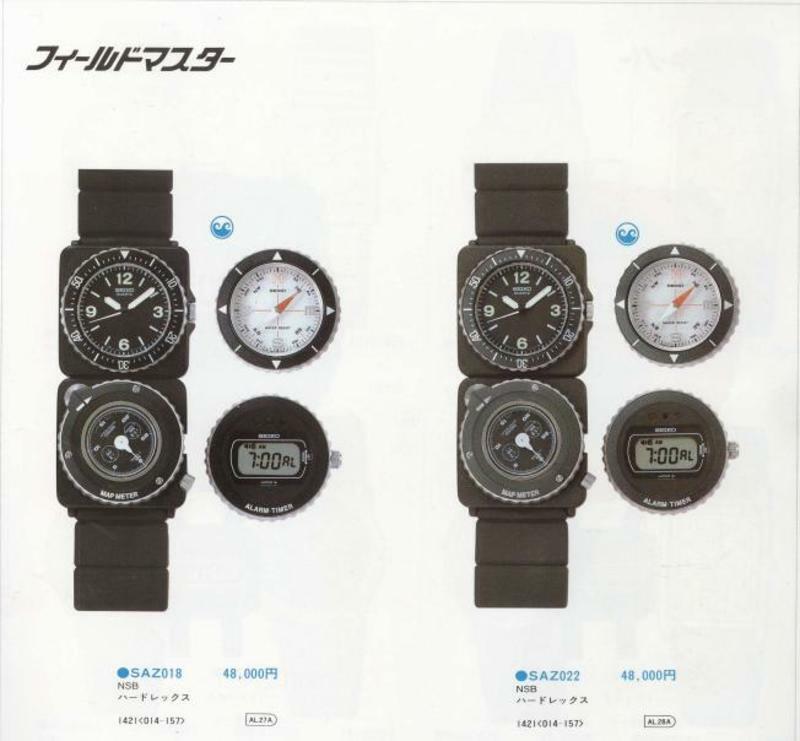 In 1994, a new sub-model powered by SEIKO Quartz Cal 7N35 was added. 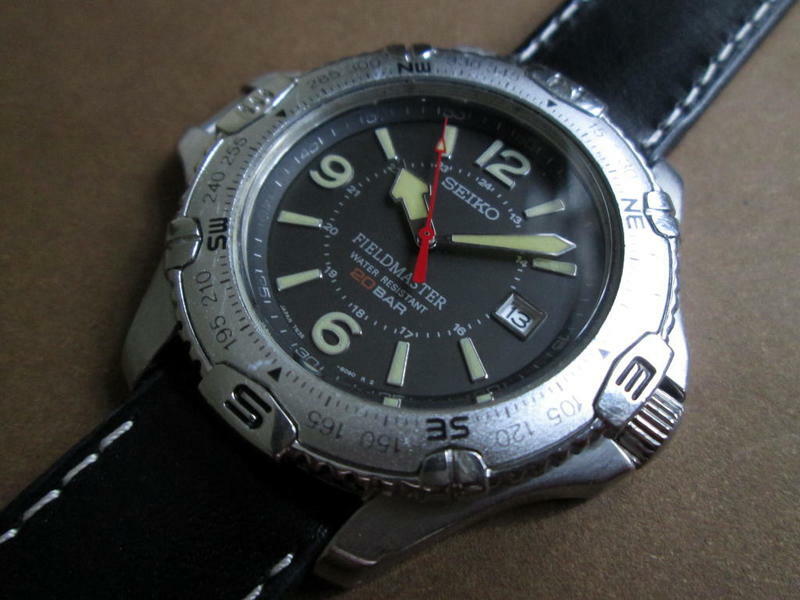 This Fieldmaster featured a loop at the 9 o’clock position, allowing the the watch to be worn on a lanyard, as a compass. It could also be attached to a belt or backpack using a carabiner. 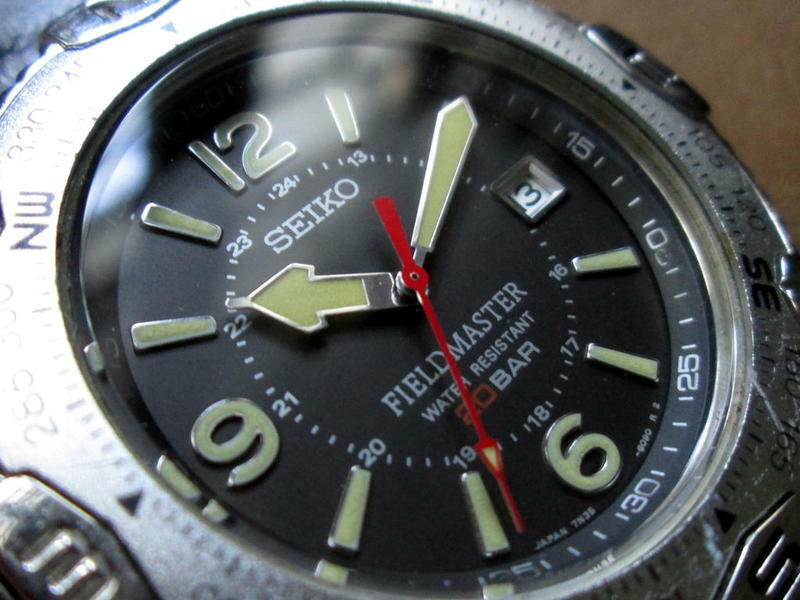 The Fieldmaster SBBC047 was referred to as the Fieldmaster Alpinist, referencing SEIKO’s longest production line of watches first introduced in 1961. 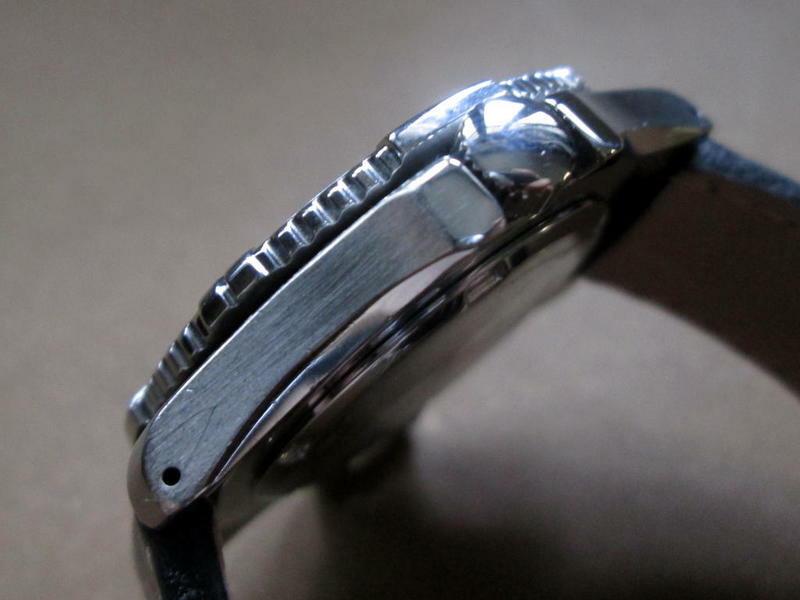 The “U”-shaped horse shoe symbol on its case back denotes anti-magnetic. The SBBC047 was manufactured for only one year, from 1994-1995, and today, is extremely rare to find in any condition. Last edited by Don; 28-02-19, 23:42. Due to the nature of canvas cloth and this watch being 25 years old, you'll hardly come across a specimen with its original strap, at least not in any usable condition anyway. Last edited by Don; 28-02-19, 23:43. 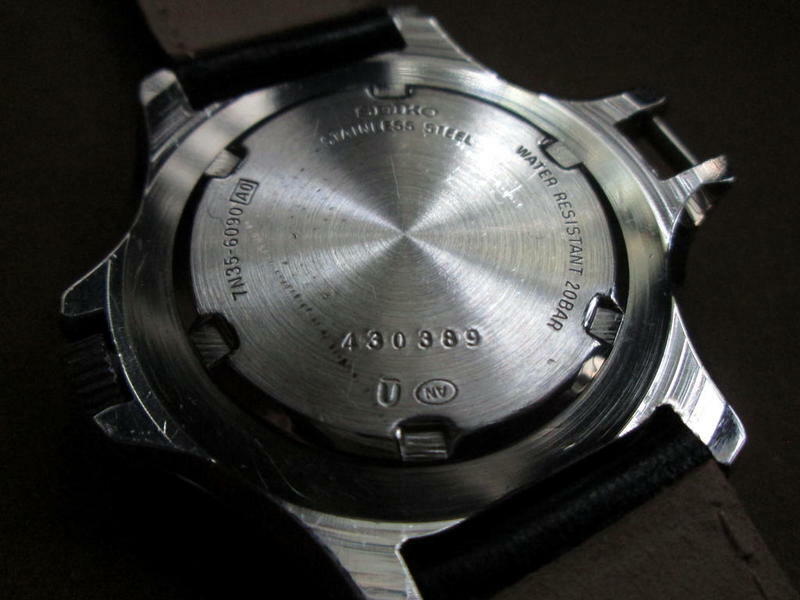 This Fieldmaster featured a loop at the 9 o’clock position, allowing the the watch to be worn on a lanyard, as a compass. It could also be attached to a belt or backpack using a carabiner. Thank you, Harlan ...When this Fieldmaster was new, it was priced just below the Diver Professional range, which started at 33,500 Yen for the Professional 200m SSBT038 (Cal. 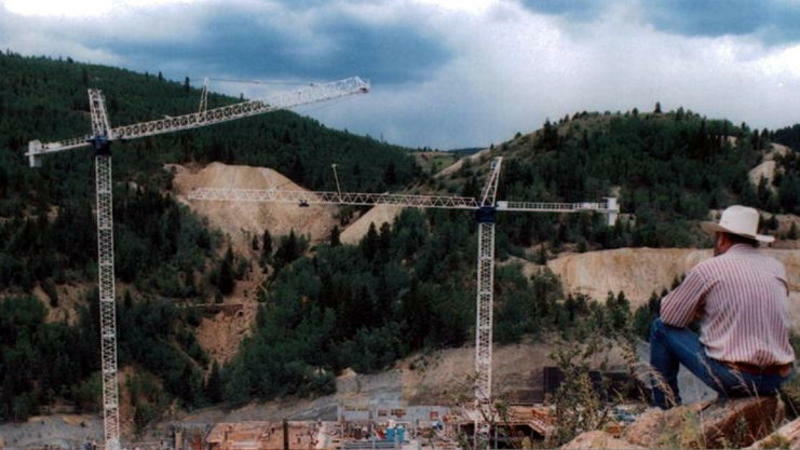 7C43). 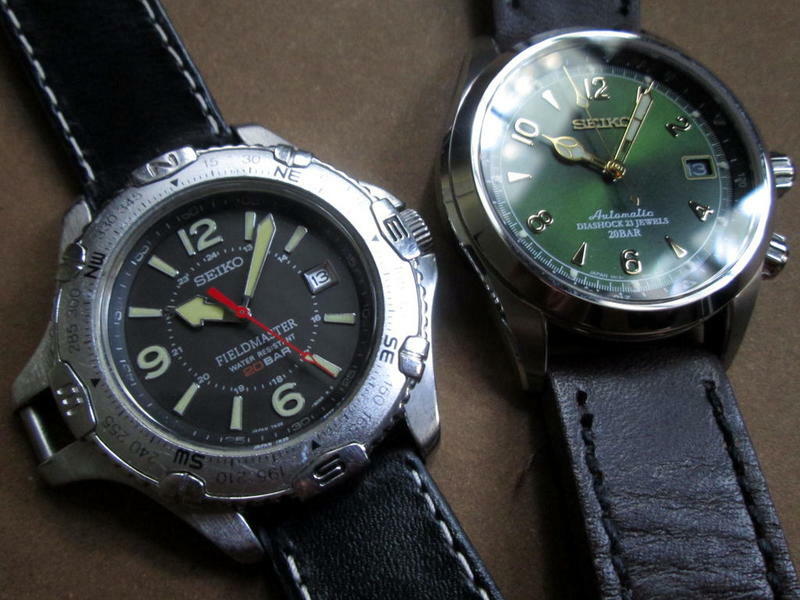 I believe these early Seiko Fieldmasters was what prompted Citizen to counter in the late-1990s with the their iconic “Promaster Super Tough” watches. 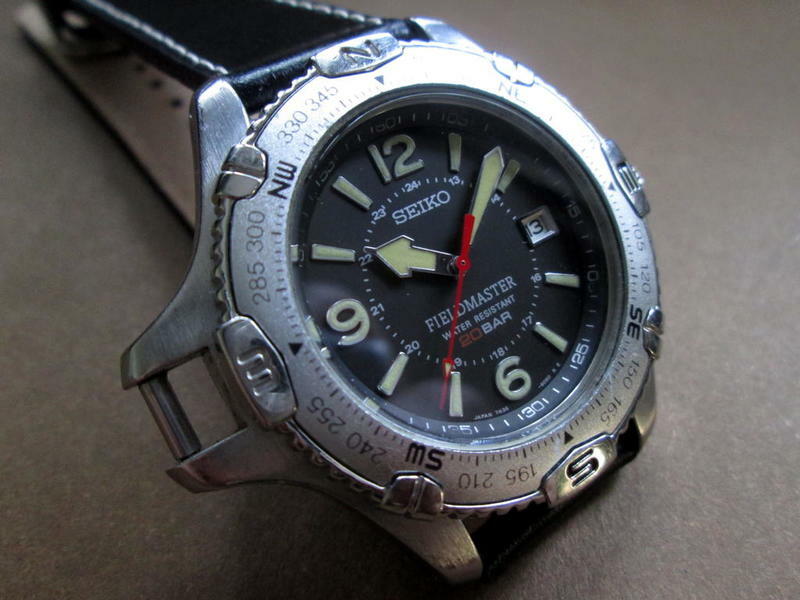 This Seiko is also an early ancestor of the current Prospex Fieldmaster Solar SBEP001, aka Digi-Tuna, still quartz-timekeeping, still the same 200m WR. 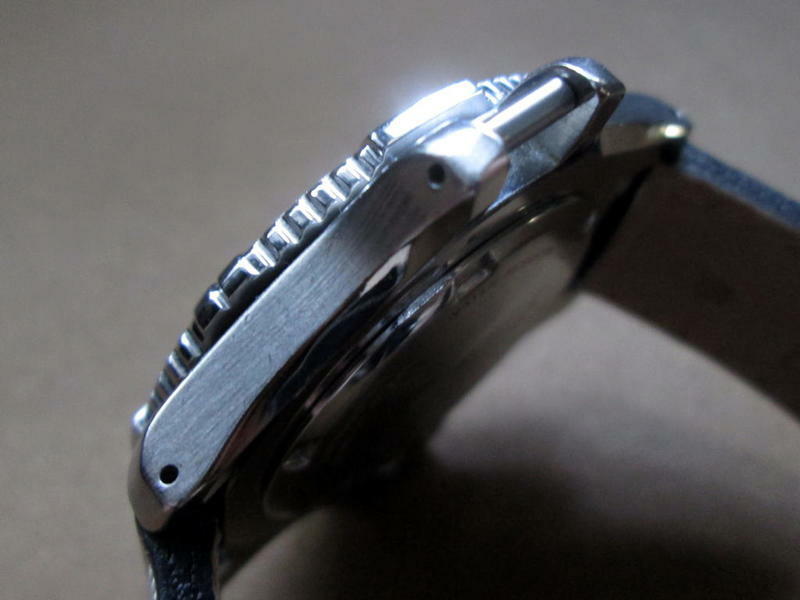 IMO though, any '90s Seiko non-diver with “20 Bar” on the dial tend to be much cooler.